. ببساطة كل الخدمات وأساليب الضيافة التي تشتهر بها Mantra Group تجعلك تشعر وكأنك في بيتك. يمكن الاستمتاع بمجموعة من الخدمات على أعلى المستويات في الفندق كمثل تسجيل وصول/خروج سريع, تخزين الأمتعة, واي فاي في المناطق العامة, صف السيارات, رعاية أطفال. تنعكس أجواء شقق بارادايس سنتر في غرف الضيوف.غرفة معيشة منفصلة, اتصال لاسلكي بالإنترنت, غرف لغير المدخنين, مكيف هواء, تدفئة هي بعض الميزات الموجود في العديد من الغرف. يقدم الفندق العديد من الفرص للاستجمام كمثل حوض استحمام ساخن, مركز للياقة البدنية, ساونا, حمام سباحة خارجي, سبا. إن كنت تتطلع إلى إقامة مريحة وهادئة في جولد كوست، فستجد في شقق بارادايس سنتر بيتك الثاني. - هناك قيود على ارتفاع السيارات في موقف السيارات المغطى التابع لشقق بارادايز سنتر وهو 2 متر. السيارات التي يزيد ارتفاعها عن 2 متر لن يُسمح لها بالدخول ويجب البحث عن موقف سيارات بديل خارج الموقع على نفقة أصحابها. - شقق بارادايز سنتر توفر موقف سيارات مجاني يكفي لسيارة واحدة لكل شقة. أي سيارة إضافية يجب البحث لها عن موقف سيارات بديل خارج الموقع على نفقة صاحبها. يضم هذا العقار مستأجرين في أوقات العطلات ومستأجرين دائمين. قد يقرر المالكون تجديد شققهم من آنٍ لآخر، مما قد يؤدي إلى صدور بعض الضجيج الناجم عن أعمال التجديد. يُرجى الاتصال بالعقار لمزيدٍ من التفاصيل. Visited here for 6 nights with 4 people total. Stayed in the Ballah tower in a 2 bedroom apartment. Unit was clean and well presented except the furniture was a little outdated. Great to have a kitchen in the unit to make our own meals, and the location couldn't be better. 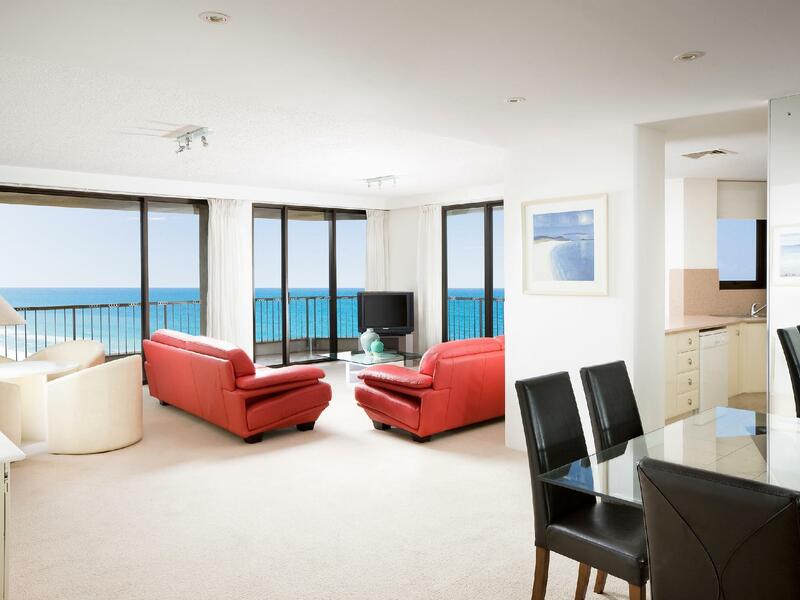 I've stayed here 5 times now and will continue to book this place when staying in the Gold coast. Ballah and Allunga always a pleasure to stay at. Apartment spacious, cool and has Foxtel. Would recommend ! Downsides : Sleep an issue, Main Bed very generic and uncomfortable, Main Bedroom windows need a reseal or attention, very noisy in between gaps especially music from restaurant and drums behind complex , also very bright in the AM, recommend blockout blinds. No broom or dustpan provided to tidy up apartment. Large apartment, good facilities for self-cooking, laundry room in the unit itself, can do grocery at ground floor as there is a woolworth supermarket. Convienent as the apartment itself is above shops and eatry. Feeling secure to stay. The only lacking in the unit i stayed is the main bedroom aircond is not cold. However there is a standing fan provided. Overall i would recommend it for family. 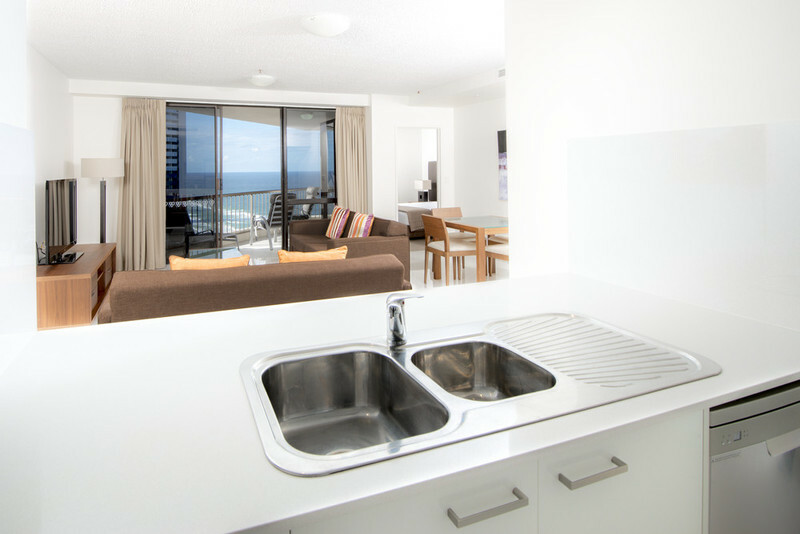 Just came back from staying at Paradise Centre Apartment Surfers Paradise for 6 nights from 04Sep till 10Sep. Stayed at their 3 Bedroom Apartment at their Ballah Tower on the 23rd floor. Check-in and check-out was fast, prompt and without any hassle at all. Able to check-in early and was also able to check-out late at 12 noon. Credit to Shawn. Staff that we encountered were all friendly, knowledgeable and warmth right from the Front-Desk, Maintenance guys and the rest. Room was immaculate, clean, spacious and the view was to die for. Fantastic view from our wrap-around balcony to view the Sun-Rise and Sun-Set with a cup of hot coffee in hand. That's living life to the fullest. Beds were comfortable, ample pillows and blankets. Unit comes with FOXTEL channels for viewing pleasure. Kitchen was tidy and clean with all the utensils provided such as pots and pans, plates, cups and also a dishwasher in tow. Location was the best as close to all the eateries, restaurants and shops. Huge Woolworths supermarket downstairs to stock up all your basic necessities and if travelling with kids, TimeZone entertainment centre was just downstairs on the 4th floor. The famous Surfers Paradise beach was just a stone-throw away from Paradise Centre apartment with the 3-times a week Night-Market on every Wed, Fri and Sun from 4pm to 9pm. 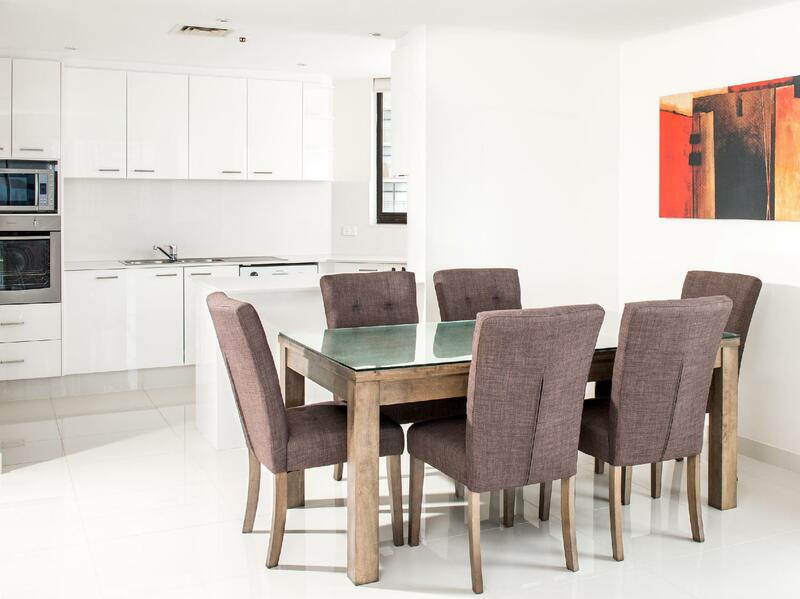 Overall, Paradise Centre Apartment Surfers Paradise was a prefect place for us and there's nothing that we could fault that place. 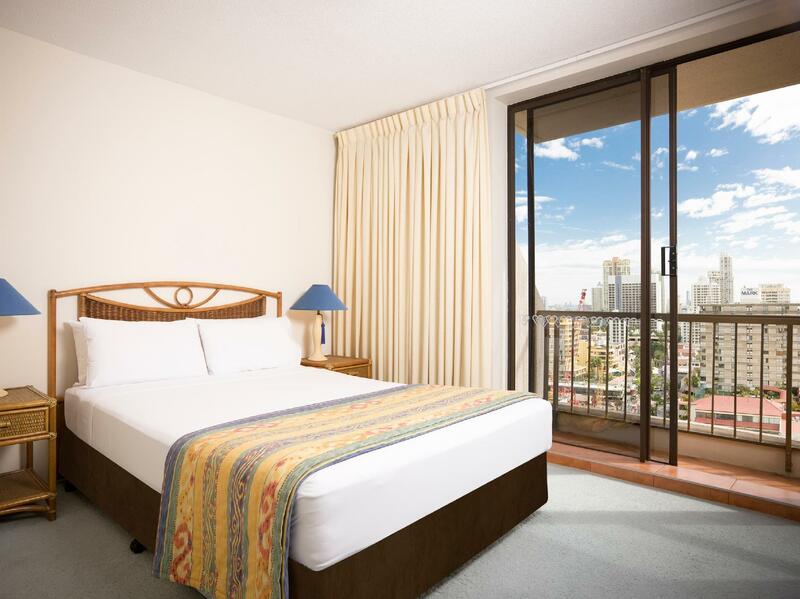 Would return to Paradise Centre Surfers Paradise in a heart-beat and easily would recommend this place to anyone. Kudos to the two staff working there mainly Shawn and Mary for making the difference and making our holiday a memorable and unforgettable experience. This is my second time here. Back then, it was just me and the wife, this time we brought our whole family. Both times we enjoyed ourselves as the hotel location is the most ideal. Central to everywhere else. Short walking distance to the sky point, tram station and bus stops. Also, the park transfers will stop right in front of our hotel. There are Halal eateries right under the hotel and within walking distance. Everything was great, well equipped with kitchenette, washing machine & clothes dryer, hot shower, oven, microwave oven, toaster, kettle & electric stove....unfortunately, no heater in the room....we were almost frozen during the first & second nites... Apartment is very near to beach (5 minutes walk ).....connecter with a shopping mall with supermarket which one can get most of the local produce, snacks & etc for own breakfast preparation. Very convenient. Apartment is near to most eateries like chinese restaurants, fast food chain like mcD, Subway, western restaurants, Japanese restaurant n many more....shopping & eating paradise all within walking distance. close to the beach, good cleanliness, and spacious. First entry into the apartment was already a good impression. 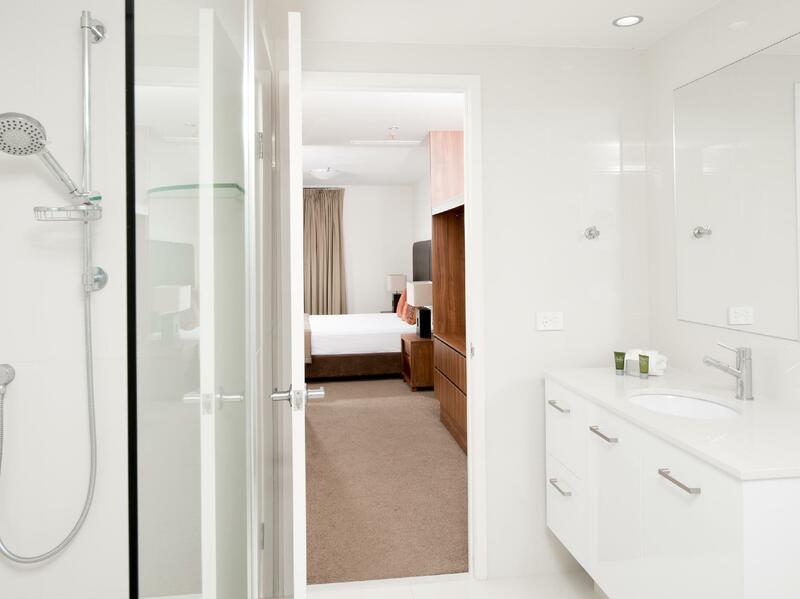 Spacious, clean and with ample amenities. It was very centrally located and is close to the beach and shopping malls. Despite the renovation works at the lobby areas, it was easily accessible. Loved the partial ocean view and my family were able to see the sunrise right from the comfort of our balcony. Great experience and would recommend to another potential visitors! Cheers!!! Enjoyed staying here. The pool and spa are fantastic and so are the views and location. Disappointingly our particular room was not amazing - though we paid for executive. The blinds were broken and did not close properly. They did a bad job of blocking out the early morning GC sun. Bathroom was ok but not as nice as other rooms we visited. On the whole however we enjoyed our stay. Good location, easy to find places to eat and grocery shopping, apartment is big and clean. Ocean view and balcony. Will be good if there is complimentary Housekeeping service at least once for my 6 nights stay. Ahh, what luck.. Location, facilities, comfort................... last year we stayed at a 'sister' property. by far this location is ideal, on cavil ave, and above the shopping centre. 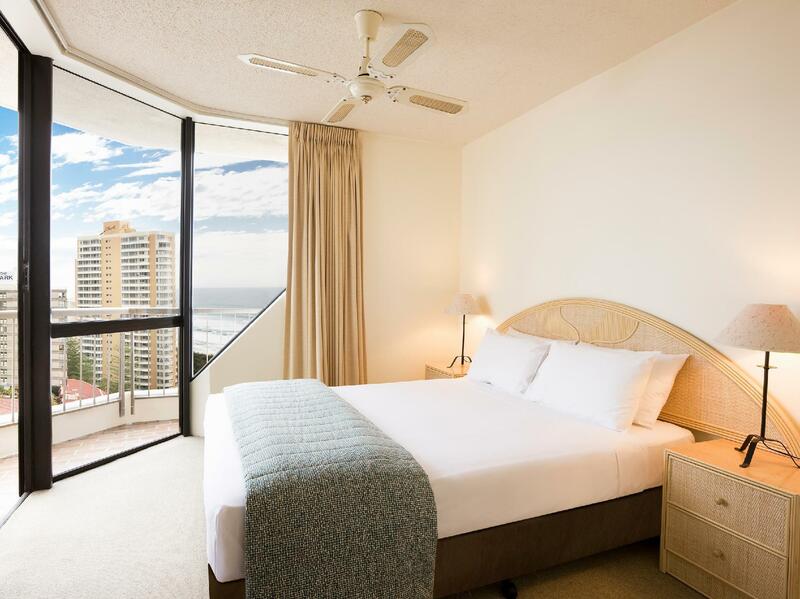 A few steps to all the excitement of Surfers Paradise. Great location, great pool area and the complimentary parking space was a bonus. My only complaint was that the place needed refurbishment. The aircon was old and kept breaking down and one of the ladies at reception was rude and couldn't muster a smile any of the two times i came across her. Had a fabulous stay in a 3 bedroom ground floor apartment, with a large kitchen, 2 dining areas and a massive lounge room.. Heaps of space in a private outdoor courtyard. Right next to the pools. Location fantastic!! There isn't a single thing that we did not like about the apartment. The kitchenette was so complete with all the utensils for cooking. Complete with a washing machine and a dryer! Couldn't ask for a better apartment. Enjoyed waking up to the sound of the waves from the ocean and the breathtaking view. Highly recommended! Won't disappoint! Definitely will return in future! The apartment was very "tired" and in need of a renovation. The toilet in the ensuit only flushed on the half flush button. The mattress on the queen bed is past it and really needs replacing, not comfortable at all. The apartment was spacious and the view and location were fantastic. Excellent apartment. Great location. Totally no complain. Spacious & clean. It is connected to a mall. Just a mere 2mins walk to the beach. Halal food easily found around the area. Trams and buses are near too. Will definitely stay here again in our next visit Highly recommended.